A Mac is a great investment for your productivity and personal tasks. 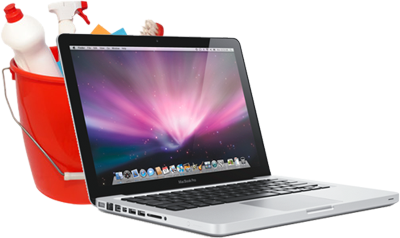 The design and the Mac OSX is extremely stable and free from virus threats. Even though they cost more than most PCs out there, a Mac owner never regrets owning one of these beautiful computers. However, even such perfected computers need maintenance and they get slower after some time. It does not mean that you need to get a new Mac but rather you just need to do a little maintenance via Mac cleanup. The idea is very simple there is clutter in your computer that has added so much over the year(s) that it compromises the performance of your laptop. You will notice slowdowns when you start an application, or save a document or just booting up your laptop. You will find some maintenance software from the App Store. In fact, you will find a lot of that software and you will be lost thinking that one is the right one to choose or the best one. This is where you need this article, because once you understand how these work then you will be comfortable to use any of these. A good software is the one that does not take up too much memory, is easy to install and finally allows you to select what kind of clutter you need to remove. Those software that boast that it will fix everything on their own are actually not so safe, unless you do not have too much to worry about. It is usually the deletion of data that could cause problems and it is much harder to recover from those kind of problems. You can also use some disk defragmenting software but nowadays we do not need those. The Disk Inventory X is also a popular software that helps you know what kind of data you have on your Mac. Many of us naturally forget how much we have stored in our laptop after some time and we do not realize it is still there until we decide to do a disk cleanup. You will eventually need a cleanup when your disk runs out of space. A good practice is to delete unnecessary videos, or games and other large files that take up too much space and you probably got bored of that content. If you feel lost, you can easily use this software to detect what kind of data is taking up the most space. You will need that kind of space for a faster boot and quicker load times as well. The OmniDiskSweeper is another intelligent program that does the job for you. You can perhaps search more about it online, the procedure to install is so easy. Once you download it, you just place it in the ‘Applications’ folder and then it will run like any other app. It removes all the unnecessary files that may take up some of your Mac memory so that the processing times are shorter. The best part is that it is free so you can make most out of it. There are some other tips that you should maintain whenever you are using your computer. Firstly, you should avoid using bloat ware or fancy apps that make your desktop look nicer. These look fine for a while until you realize they are hogging so much of your system memory that it is not worth it at all. Secondly and lastly, you must try to manage the free space on your hard disk because the more space you have, the safer your computer if from getting slow.